We reviewed C.H. 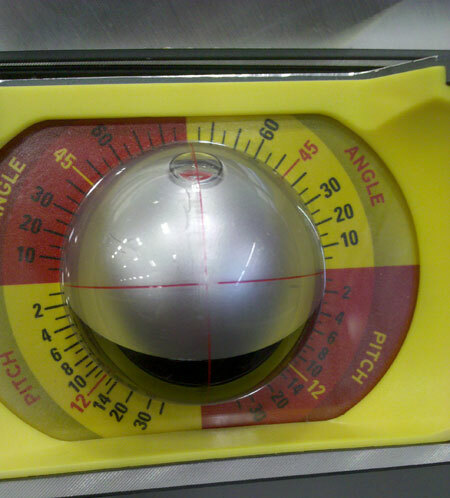 Hanson’s Precision Ball Level a few months ago, and have used it a few times since then. Thus far, the ball level seems to be in great shape. However, as mentioned in comments to the review, the levels on the shelves at local home improvement retailers (mainly Lowes) are in terrible shape, with rubbed-off crosshairs. I make it a point to check the levels at every different Lowes location I happen to come across. At every one of the 6 or so different stores I visited in recent months, the ball levels are piled together, with little or no separation between levels. Maybe it happens during shipping, maybe it happens when the stack of levels are moved around from one shelf to another, or perhaps customer handling is to blame. Regardless, it is disappointing to see that this happens so consistently. 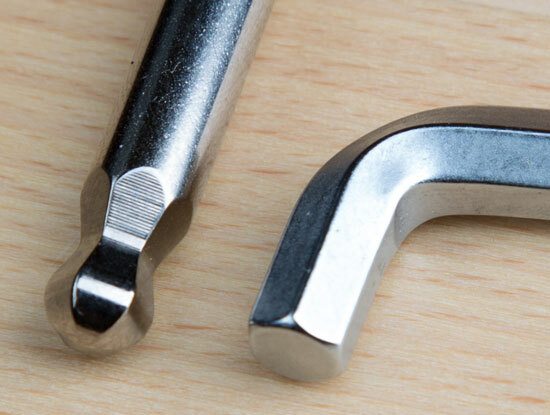 With all that said, we still think that these ball leves are recommendable for DIYers. They’re very well made, and function exactly as advertised. 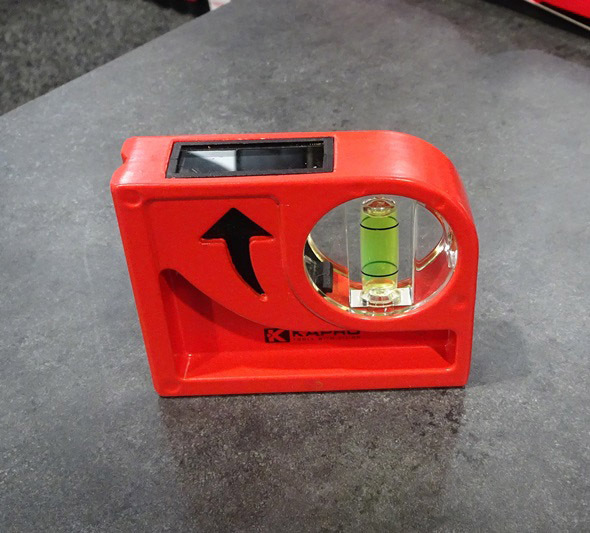 Contractors will want to stay away from these levels though, since daily use and transport may wear away the red crosshairs quickly, greatly decreasing the level’s accuracy. That’s a shame that such a useful level has that one major flaw. It seems easy enough for them to fix by redesigning the the ball level with etched lines that are colored in. I wonder if they have plans to redesign the flaw? Whenever I am buying, or trading in a level (think Sears), I always check at least two, or three against each other. It would seem that between the shipping, and stocking, the understanding of what effect dropping one can have on it’s accuracy. I’ve come across examples that were way out of spec, and that is with bubble levels. Maybe an idea for the manufacturer of these would be to emboss the cross hairs into the the bubble, then add the paint. lol we need an edit function,that should have read,”It would seem that between the shipping, and stocking, the understanding of what effect dropping one can have on it’s accuracy has been lost. That’s why I returned one I special ordered when it first came out — the ball was scratched, marred, and the cross-hairs ruined. Then Lowe’s got in a whole bunch, and every single one was ruined because the ball was abraded by the packaging and shipping. Of course, no one in Lowe’s cared (or cares). And the ball is just so huge and unprotected that it’s a magnet for damage. I may be mistaken here, but aren’t the lines critical to the functioning of the level? I mean, if there were no lines, doesn’t that render it useless? If you took the lines off of a standard bubble level, it really serves no purpose, no? You could just as easily “eyeball” whatever it is that you’re trying to level. The lines, especially where they intersect at the middle, are not absolutely essential to the function of the level, but without them the level would lose a bit of its accuracy and ease of reading. I would not buy a ball level that appears to have been marred even a little bit. The sample unit I received months ago came very well packed, with the ball well protected. Somehow in their path from factory warehouse to Lowes retail stores, the balls are getting worn. I agree, etching the plastic ball shell on the inside or outside would be a good move. Thanks very much for the feedback. We actually fixed the problem quite a while ago. The cross-hairs are now printed on the inside of the level. The actual ball itself is made out of a polycarbonate so it is very durable…obviously more durable than the cross-hairs on the outside!..As with all of our products, we stand behind them 100%..if you have a damaged level, Lowes will replace it for you or we will as well. Great news… because I love this level and want to continue using it. Readable cross hairs and a nonbreakable ball is all you need on this thing it’s perfect… glad this is fixed.